Offer a seamless checkout experience. Accept credit cards, PayPal, and Bill Me Later on your website. Keep customers on your site for the entire checkout process without the full burden of protecting their financial data. 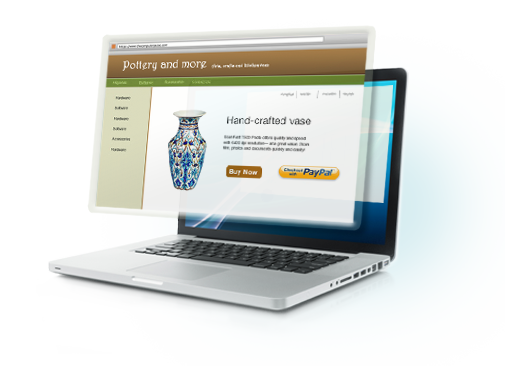 In addition to a merchant account and gateway in one, PayPal provides you with a secure checkout template to integrate within your website. Your customers won't know that we're processing their payment, making your business look more secure and professional. Its also pre-integrated with top e-commerce platforms. If there's one thing people know about PayPal, it's how seriously we take security. Automatic fraud screening and our Seller Protection Policy help keep you and your customers secure. And since PayPal is PCI-compliant, your task of meeting these standards is a good deal simpler. 1 You can apply for the PayPal Business Debit MasterCard® after your PayPal account has been in good standing for 60 days. 3 Based on a study by IPSOS in Q2 2010, a side-by-side comparison of PayPal's processing fees vs. competitors' processing fees among 88 randomly selected small and medium sized businesses processing up to $15 million per year online.